His surprise visit focused on President Trump's ‘fight to win’ strategy in Afghanistan: attacking enemies and preventing terrorist attacks against Americans. 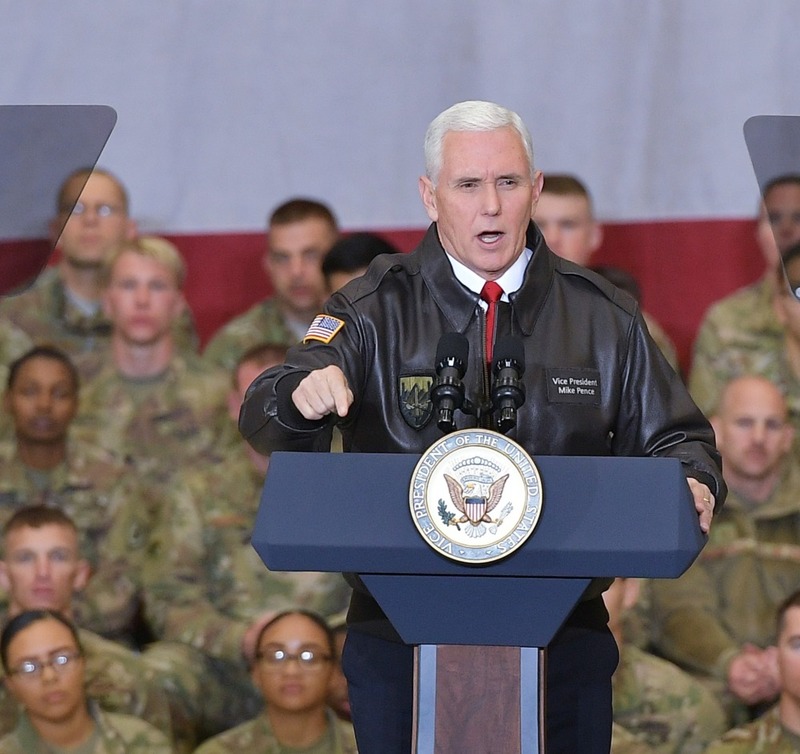 KABUL, Afghanistan — Vice President Mike Pence told Afghan President Ashraf Ghani on a secret visit Thursday to Afghanistan that the U.S. is “here to see this through” as they discussed a newly announced U.S. strategy to break the stalemate in America’s longest war and consulted on upcoming parliamentary elections. “We’re here to see this through,” Pence told Ghani and Afghan Chief Executive Abdullah Abdullah at the presidential palace in Kabul. “It’s because of all of you that we’re safe. It’s because of you that we’re free. It’s because of you that freedom has a future in Afghanistan and America and all across the wider world,” Pence said. Pence also was briefed by military leaders, including Gen. John Nicholson, the top U.S. commander in Afghanistan. The White House restricted use of cellphones and internet communications for journalists traveling with the vice president, citing security concerns in Afghanistan. Pence’s trip was focused on Trump’s strategy, released in August, to “fight to win” in Afghanistan by attacking enemies, routing al-Qaida and preventing terrorist attacks against Americans. He has urged the U.S. to shift away from a “time-based” approach to the conflict by linking U.S. assistance to results and cooperation from the Afghan government, Pakistan and other partners. At least 15,000 U.S. forces are in Afghanistan after Trump sent about 3,800 troops this fall to enhance U.S. efforts to advise Afghan forces and conduct counterterrorism missions.